PORT-AU-PRINCE, Haiti – The U.S. State Department’s special coordinator for Haiti said Thursday that he recognizes Jocelerme Privert as the troubled country’s interim president for now as the divided Parliament is avoiding a vote on potentially extending his expired mandate. In a phone call with reporters, Kenneth Merten was asked by The Associated Press if the U.S. still recognized Privert as Haiti’s provisional leader even though his 120-day mandate ended midnight Tuesday under the terms of a negotiated accord that brought him to power. While emphasizing that Privert’s fate was up to Haiti’s National Assembly to decide, Merten responded: “I would have to say I would recognize him as the interim president of Haiti” at this time. He stressed that Haitian electoral authorities should “act soon to clarify” who the country’s provisional leader is. “We really want the National Assembly to take the action they need to take to clear the subject up,”Merten said. The U.S. official’s comments are significant because a Haitian opposition coalition insists that Privert is unlawfully holding onto power. The coalition is exhorting the international community, Haiti’s police force and civil society to view him as entirely illegitimate. The United States is Haiti’s largest donor and trading partner. At a Thursday press conference at an upscale hotel in Port-au-Prince, opposition leader Evans Paul called on people across the Caribbean country of just over 10 million to join together to demand Privert’s departure. Paul is a veteran politician and former prime minister in ex-President Michel Martelly’s administration. But this week’s planned street protests by Martelly’s Tet Kale political faction failed to materialize in Haiti’s capital. While some anti-Privert demonstrations have taken place outside the capital in recent days the country is largely calm amid this latest phase of politician-stoked discord. Also failing to materialize for a third straight day was a National Assembly vote on Privert’s fate. Lawmakers are tasked with deciding whether to extend Privert’s mandate until new presidential elections can be held or pave the way for new interim leader. Cholzer Chancy, the acting leader of the National Assembly, has demanded that senators and deputies return to Parliament to vote. But many legislators aren’t paying any attention to him and are instead continuing with their backroom negotiations and delays. In a Wednesday national address, Privert insisted his fragile government had things under control and said he would stay in office until the divided Parliament voted. In February, a majority of members elected him as a short-term interim leader amid suspended elections and another institutional vacuum in the presidency. “My government is still working. I am available to go to Parliament as soon as they are ready to make a decision,” Privert said in the televised address. 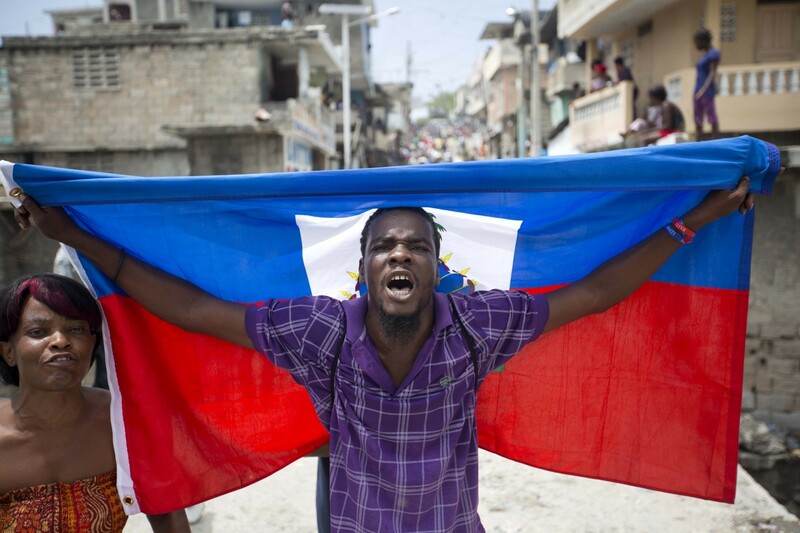 Haitian electoral officials recently announced that a new presidential election will be held in October with safeguards to avoid the fraud that marred last year’s voting. But Merten said the U.S. was “disappointed” with this decision because impoverished Haiti could have avoided the leadership muddle if it had stuck to agreed-upon timetables earlier. 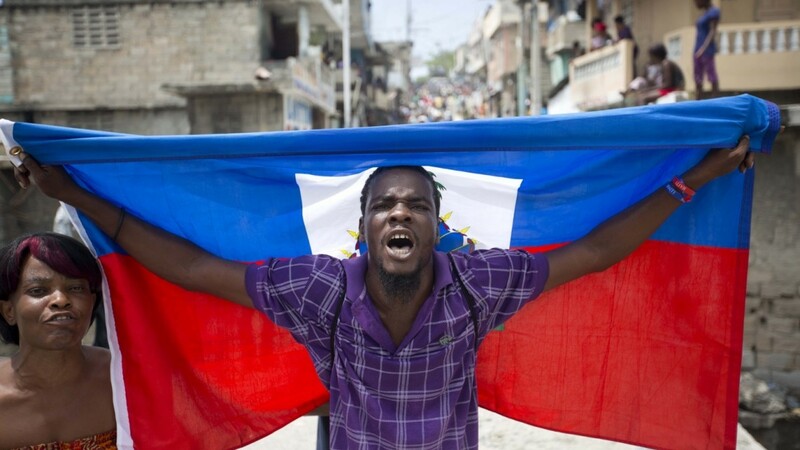 “The longer it takes for Haiti to have a democratically elected president, the longer it will take for the United States to consider renewed partnerships to help Haiti confront its mounting economic, climatic, and health challenges,” he said.